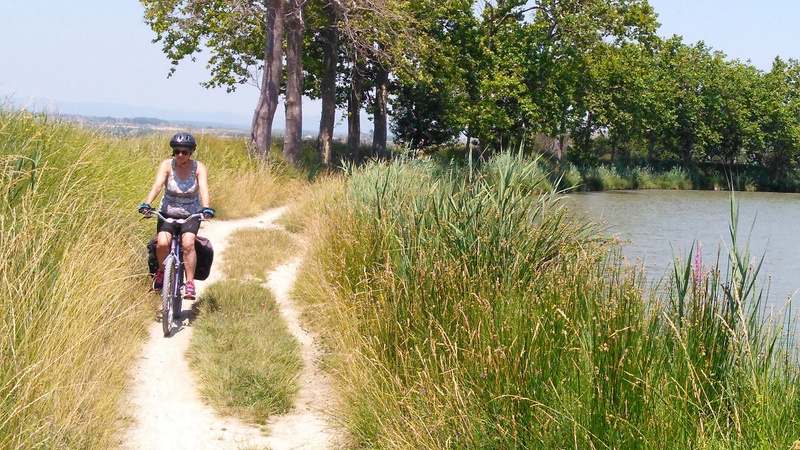 A 600 km ride from Bordeaux to the Mediterranean along the Canal de Garonne and Canal du Midi, 90% off-road. It’s a laid-back ride along the two canals that link the Atlantic to the Mediterranean and at times it’s like riding through the wine list at your favourite bar – from Bordeaux to Entre Deux Mers, Corbieres and Minervois. There is something very satisfying about a coast to coast ride, particularly if it crosses the country. Usually such rides involve a lot of hills but this ride is flat all the way – apart from a few sections where the route takes you away from the canals. We started in Bordeaux at the railway station (see below for travel details) and easily picked up the route at the St Jean bridge close to the station. As first the cycle track follows the Garonne river and then for the next 50 km you follow a cycle track mainly a along an old railway line. A further, sometimes hilly 20 km, takes you to the Canal de Garonne at La Reole. From here the route follows the canal all the way to Toulouse. It’s easy riding with a wide well-surfaced track most the way. 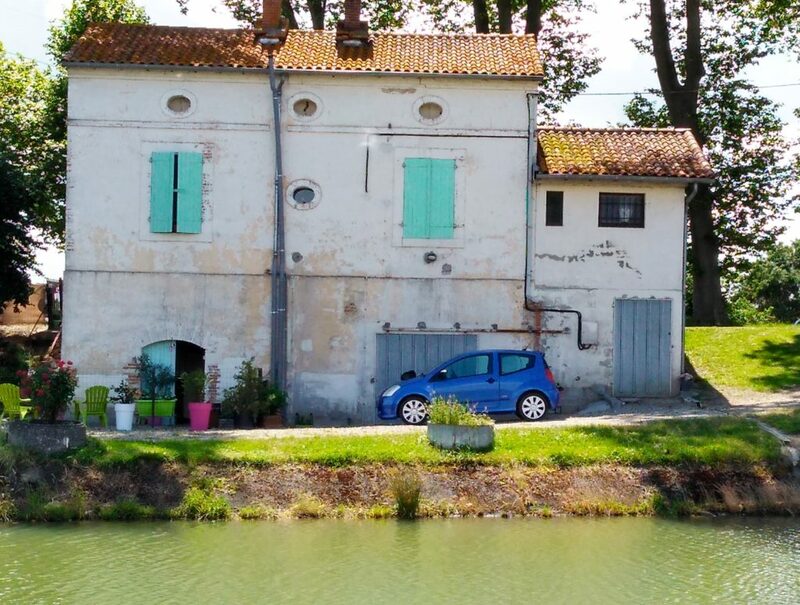 There’s lots of diversions along the way with plenty of villages and places to refuel – one of the apps has an interactive map showing bakeries and wine tasting! As you approach Toulouse the canal travels through the industrial outskirts with occasional diversions from the canal-side path but are generally well signposted. The ride into Toulouse takes you right through the centre, still on the canals, until you pick up the Canal du Midi near the railway station. You enter Toulouse at the junction of the Canal de la Garonne, the Canal de Brienne and the Canal du Midi. This section is fairly well signed posted and although the canals themselves are an obvious guide, make sure you are following the right one – check the app or the velo map for details. If you do get lost, head to the main railway station in Toulouse and pick up the Canal du Midi from there. 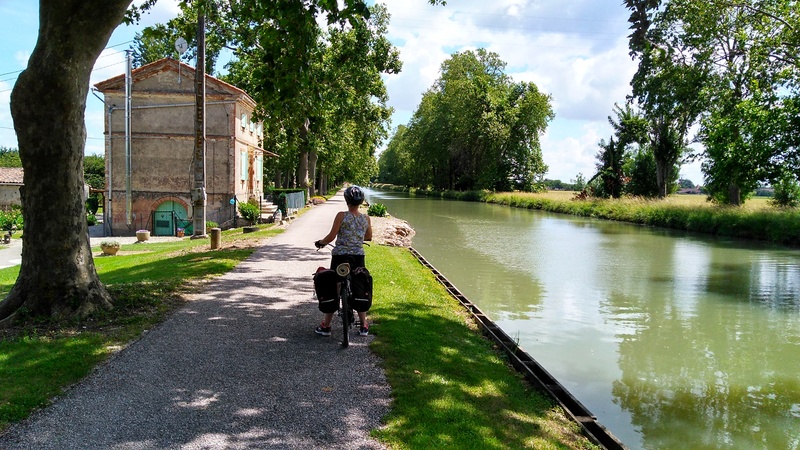 From Toulouse the nature of the ride changes almost immediately – the Canal du Midi is more twisting than the Canal de la Garonne as it cuts through the rolling countryside. The tracks along the whole length of the canal are a mixture of hard packed earth or gravel with only the occasional tarmac surface. There are occasional narrow sections, some with rougher rocky or tree-rooted ground to cover but all are straightforward to ride. Although it would be okay on a road touring bike, fatter tyres will give a more comfortable ride. 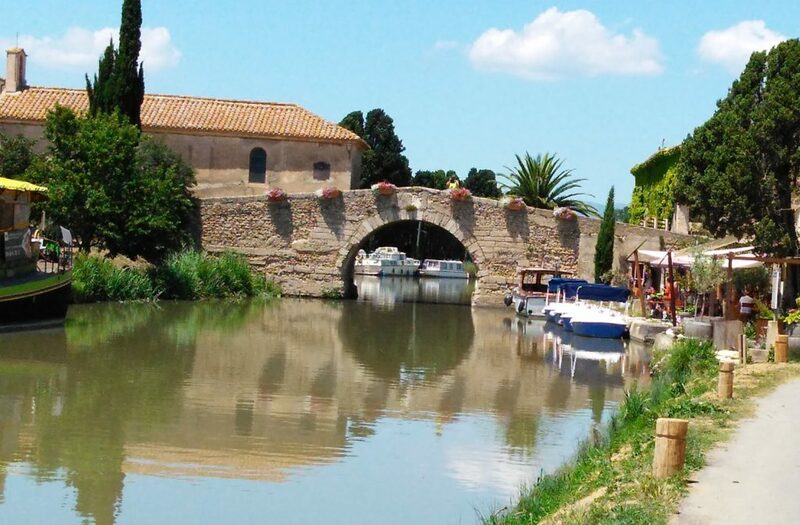 From Toulouse the Canal du Midi takes you through the best aspects of the French countryside – beautiful villages, impressive towns such as Carcasonne, Bezier and Adge, rolling countryside with plenty of lock side cafes and bars. The canal is popular with hire boats as well as with cyclists. From Toulouse it’s about 180 kilometres along the Canal du Midi to the junction with the Canal de la Rabine just after Le Somail. At the canal junction you have a choice – either follow the Canal de la Robine for 40 kilometres to Narbonne and a further 20 km to the coast at Port la Nouvelle or continue east on the Canal du Midi to the Mediterranean at Cap d’Adge (about 75 km from the canal junction) or carry on to Sete. We finished the route on the coast at Cap d’Adge rather than Sete as the final section to Sete involves riding a section on the main road and then a cycle track adjacent to the road. Once we had reached the Med at Cap d’Adge, we retraced our route back to La Somail and then took the Canal de la Robine to Narbonne which is a great city in which to finish a trip and has rail connections back to Paris. 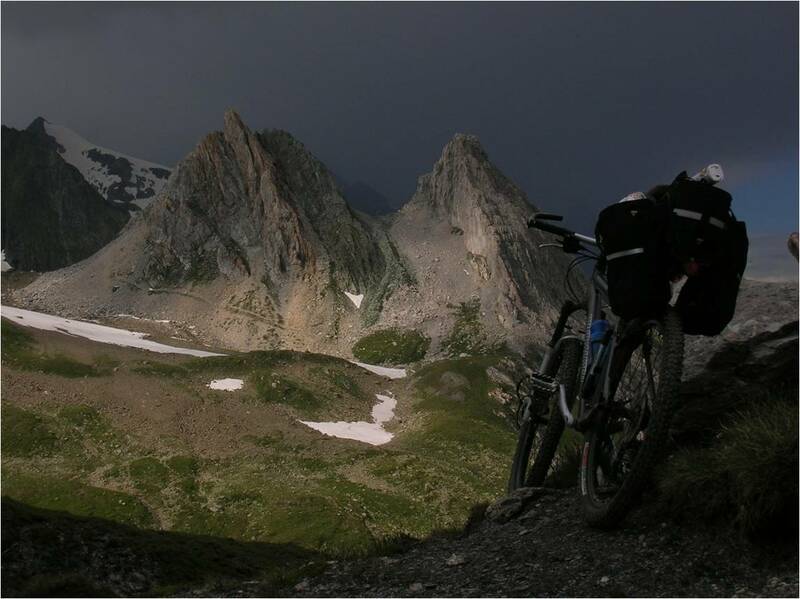 Velo tourism is well developed in France so there is an increasing amount information available. 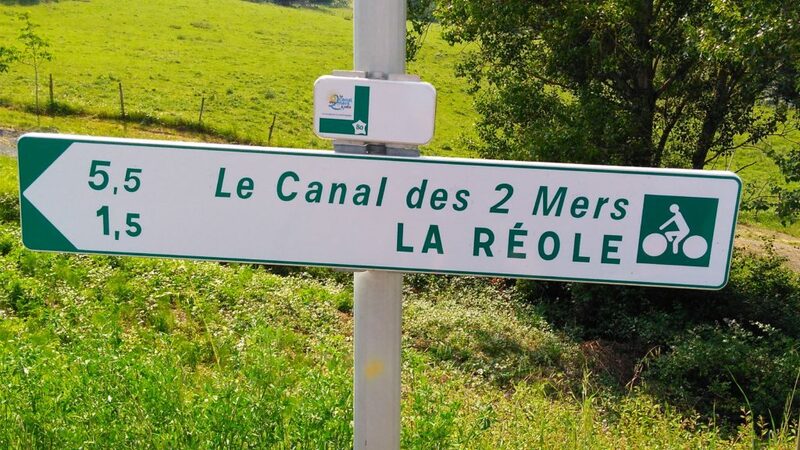 The Canal de Deux Mer website and app provide a lot of useful information. The interactive maps enable you to find campsites or other accommodation, bike shops, markets, shops and rail stations plus places of interest along the way. 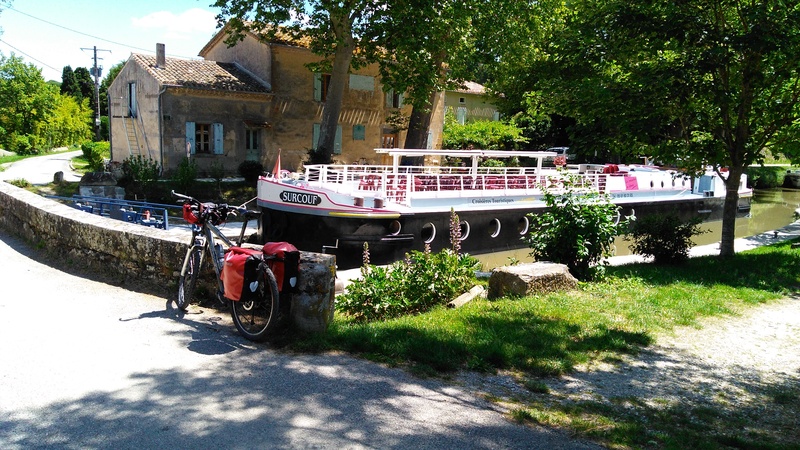 Tourist offices have good printed guides available as well – the ‘Bordeaux- Toulouse a Velo’ booklet is the printed version of the Canal de Deux Mer website and there is also a comprehensive booklet for the Canal du Midi, again available from tourist offices from Toulouse onwards. Taking a bike by train in France can be straightforward but there are a few issues to be aware of. You cannot book a bike space online so you have to buy a ticket in person – see this SNCF information page for info on taking bikes on French trains . Bikes are permitted fully assembled on TGV trains from Paris to Bordeaux. Intercity trains have 6 bike spaces per train and take bikes fully assembled. Regional trains (called TER) don’t need a bike reservation and are fairly relaxed about the number of bikes carried. For the return journey, TGVs from Beziers or Narbonne don’t take bikes that are fully assembled so the options are either an Intercity train or a series of regional TER trains. What this means in practice is that you need to allow time for booking tickets and be prepared to have to wait for a train with bike spaces available. 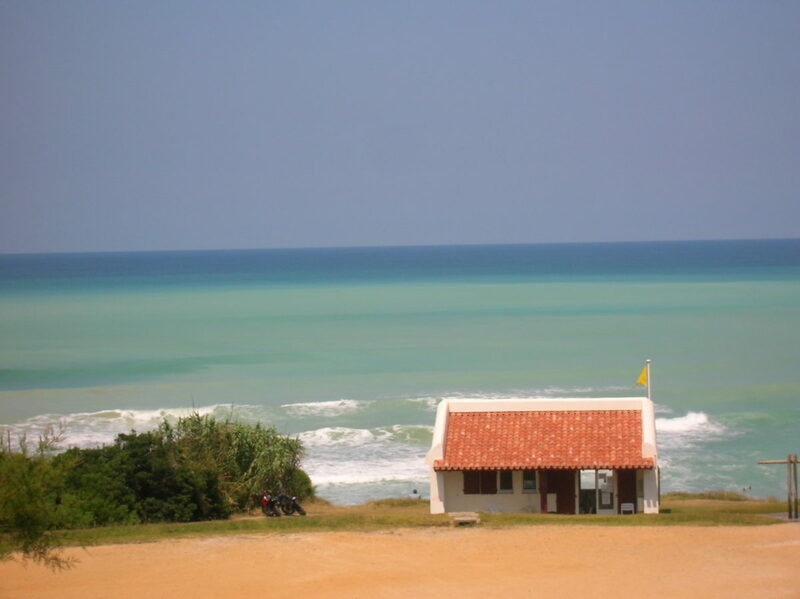 For the return journey you could could book a train at any station en-route, once you’ve decided where to return from. An alternative to trains is to use the European Bike Express which has drop-off/pick-up points in Bordeaux and Narbonne. There are plenty of campsites all along the route. The majority are listed in the Canal du Midi website and app or the written guides mentioned above. Plus there are other campsites that are signed from the canal and local tourist offices also have lists of campsites – but only in their areas. May through to September is probably the best time to go – Bordeaux can be wet earlier or later in the season. Summer is hot but there’s plenty of shade from the trees that line quite a lot of the canals.